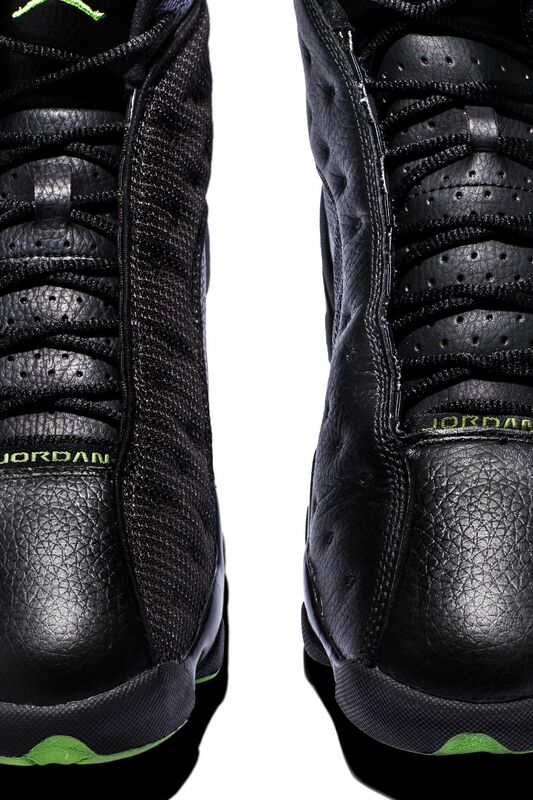 The original Air Jordan embodied number 23's "Black Cat" alter-ego. It brought unique colors and materials to the court, along with a unique hologram reminiscent of a Black Cat's glowing eyes. 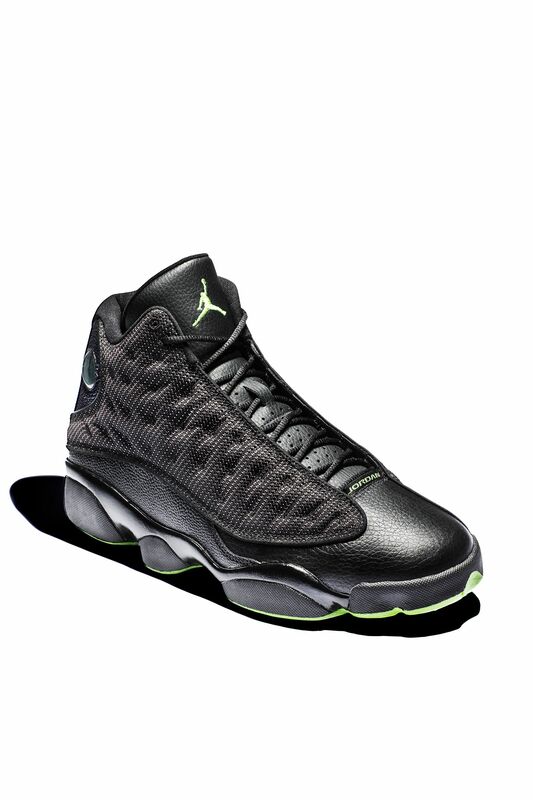 In 2005, that contrasting look of black and green would come to life in new form with the "Altitude" Air Jordan XIII. The 2005 "Altitude" Air Jordan XIII was unveiled unlike any Air Jordan before it. 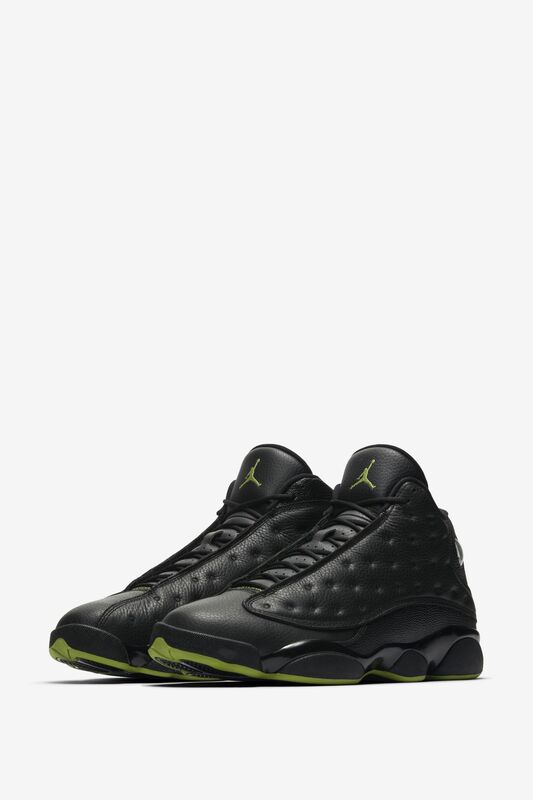 In a time where new shoes were no longer debuted on the feet of the man himself, the new Air Jordan XIII made its debut in the Winter 2004 issue of the Brand Jordan Magazine. 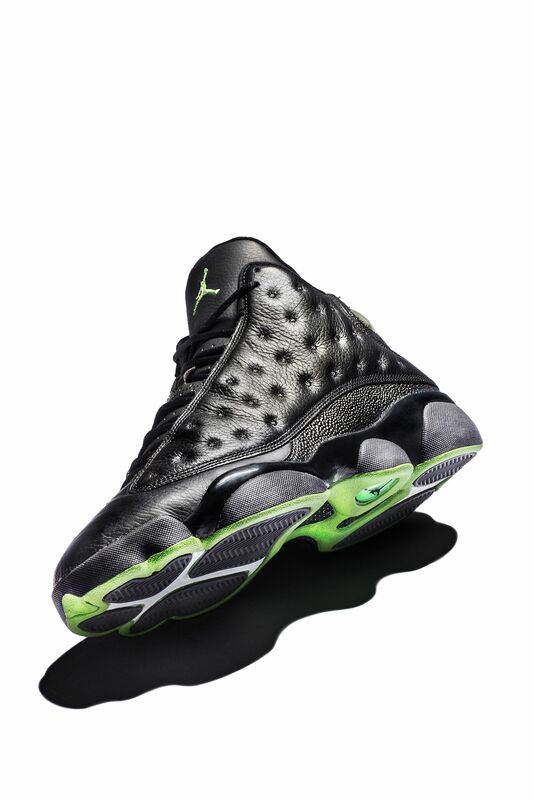 Not only did the new Air Jordan bring a new colorway to the table, it introduced a new combination of materials for the Air Jordan XIII with a full leather upper and premium sting ray-inspired detailing. Fast forward to 2010, the Altitude colorway would make a return in more of a traditional fashion. 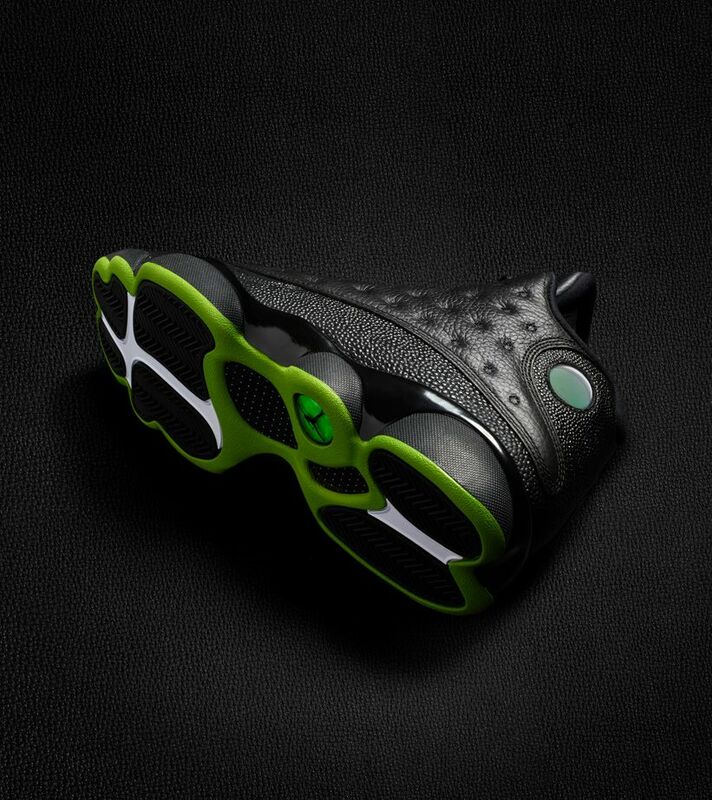 The 2010 iteration of the Altitude was presented with a premium leather construction and familiar mesh overlays, reminiscent of the original Air Jordan XIII.